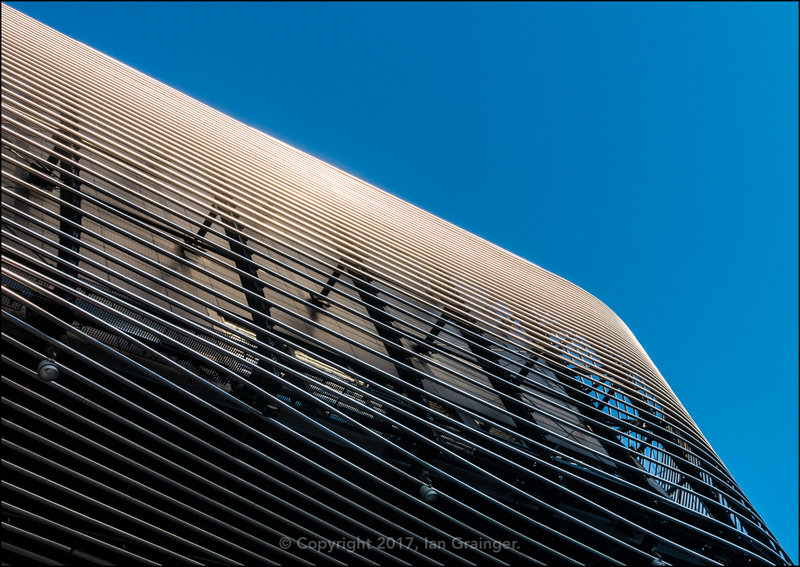 This weekend I got to indulge my passion for abstract architectural photography during a Christmas shopping trip in Southampton. 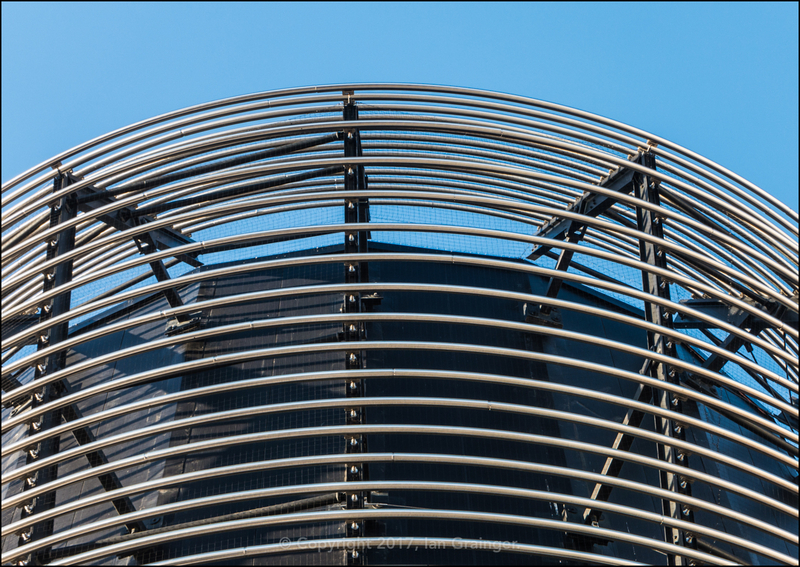 This shot is looking up at the new Showcase Cinema which is part of the Westquay shopping complex. It's one of the more modern looking buildings in Southampton city centre that turned out to be quite fun to explore with my camera lens. I shot it from multiple positions and at multiple angles, and it was almost impossible not to get a pleasing abstract image, especially with the gorgeous blue sky behind it. 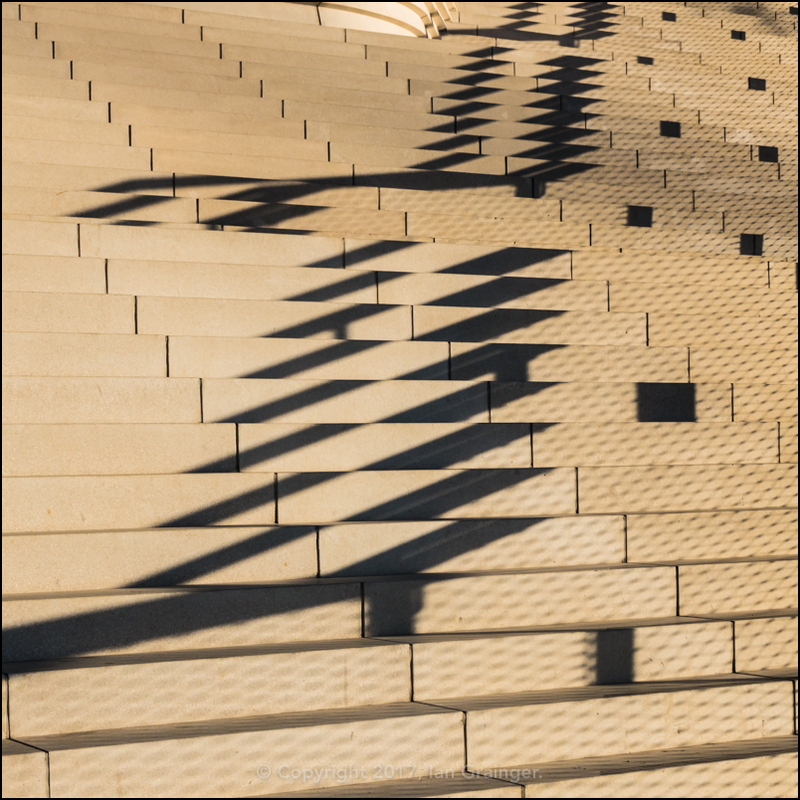 Even the grand stone staircase leading up to the building offered some pleasing perspectives, and an intriguing shadow that led the way up the steps. 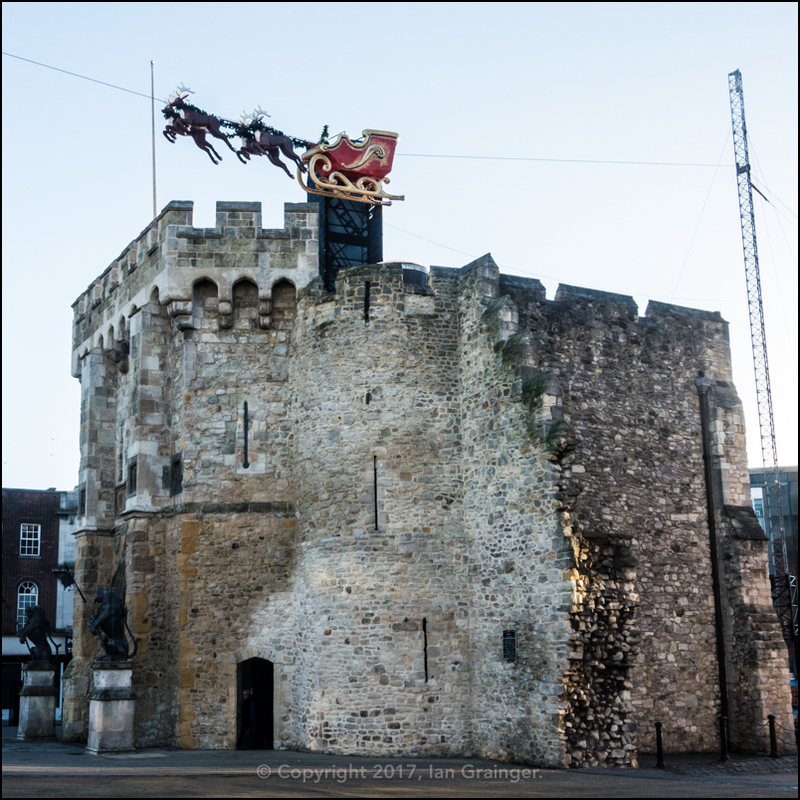 As it was Christmastime, I couldn't resist pointing the camera at the Bargate, with its rather bleak looking reindeer and sleigh. 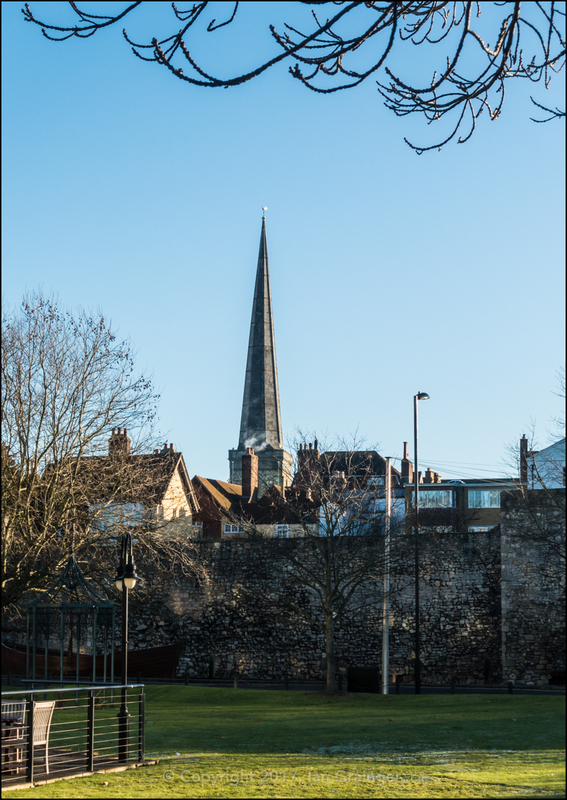 The view of St Michaels's church spire in the distance behind the City walls was an interesting one, so I had to take a couple of images as I headed away from the city centre. 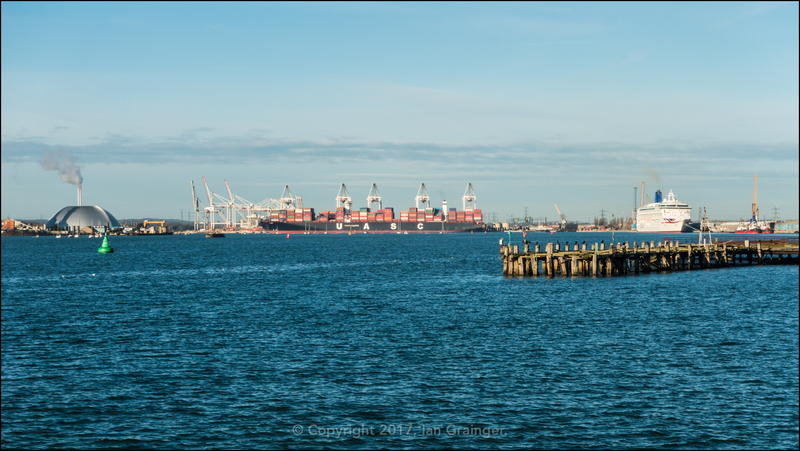 I found myself in Mayflower Park, and looking across Southampton Water at multiple sights. That's Marchwood Incinerator dome to the left, part of the large container ship port in the middle, and the cruise ship Oriana docked at the Mayflower Cruise terminal on the right. I continued my journey into Town Quay, and took a walk past the ferry terminals. 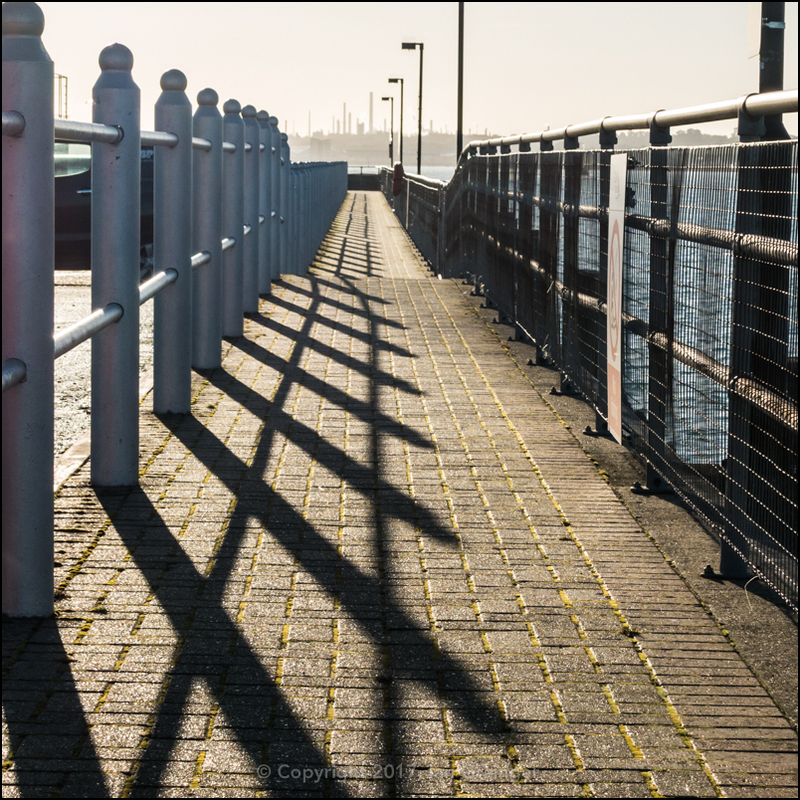 I quite enjoyed trying to frame the multiple leading lines of this walkway, so that they led to a hazy view of Fawley refinery. 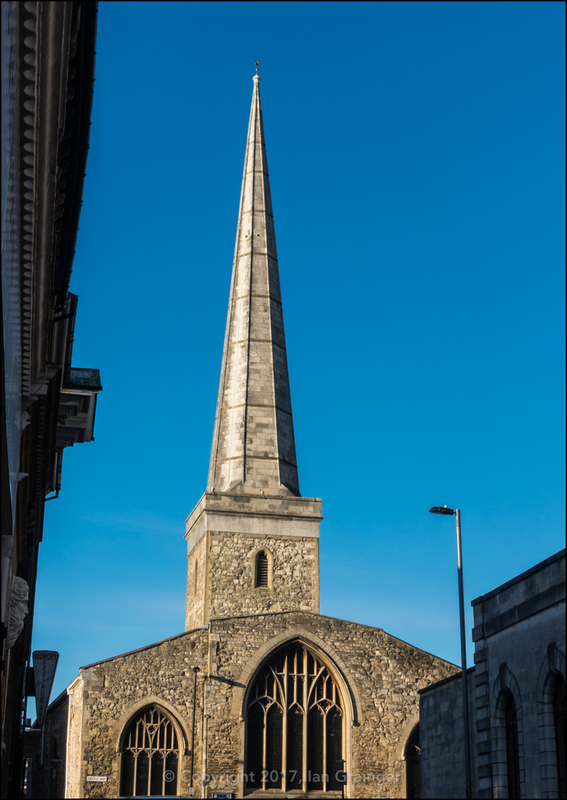 I then made my way back into the city centre, and came across St Michael's church again, in what has to be my favourite view of the church. 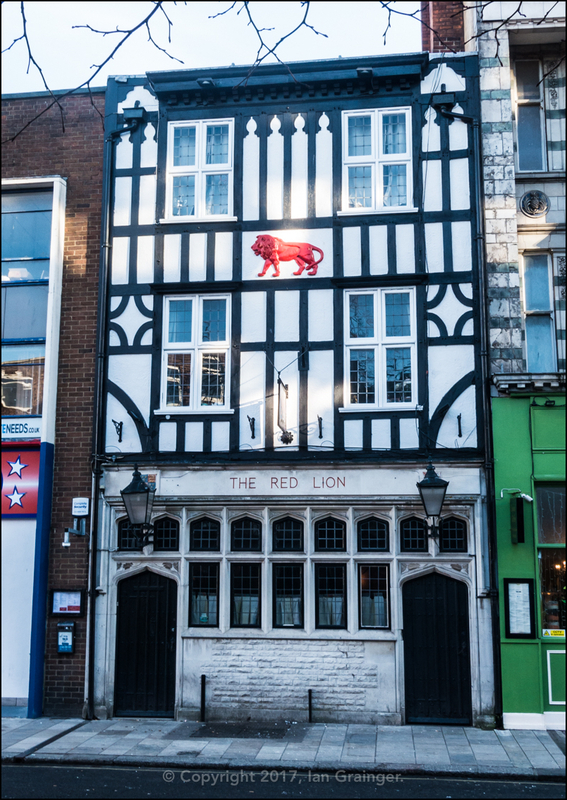 However, my favourite view of the day must have been of The Red Lion pub, where I could rest my weary legs, could partake in some proper beer, and where I also enjoyed a good meal. 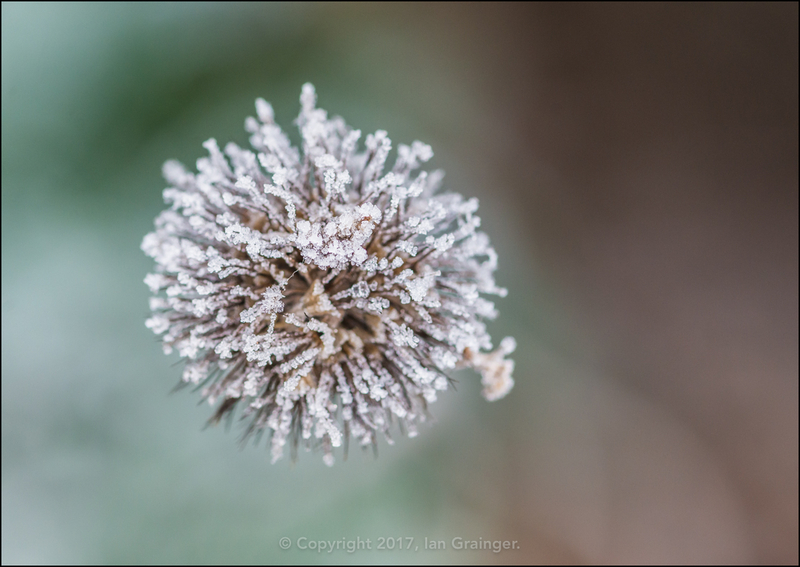 Away from town, and back at home, in my garden, it was a cold start to the week, and there was more abstract architectural imagery to be had. 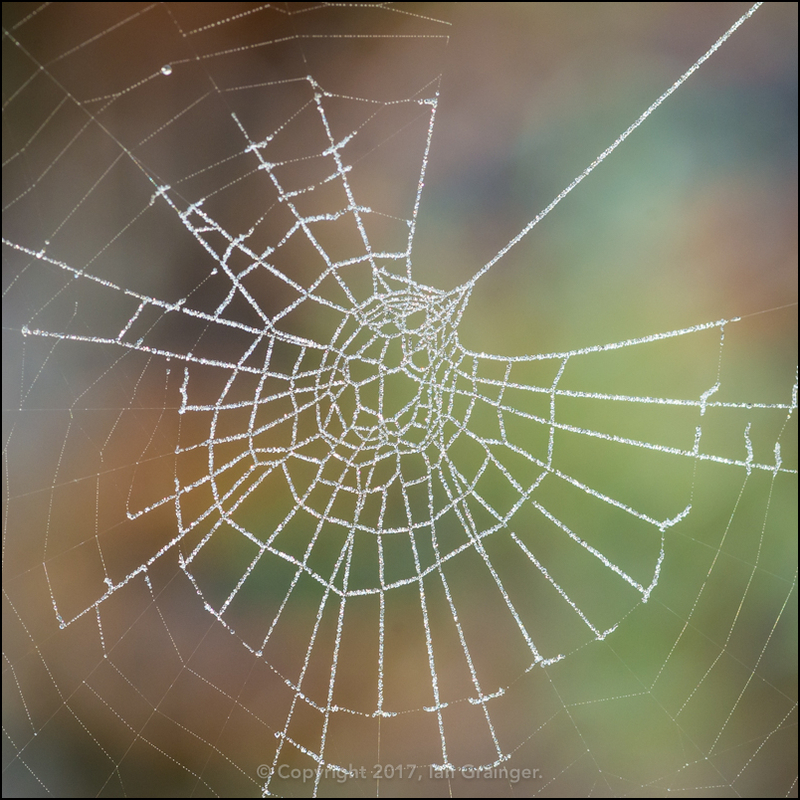 This spider web was looking great covered in frosty ice crystals. 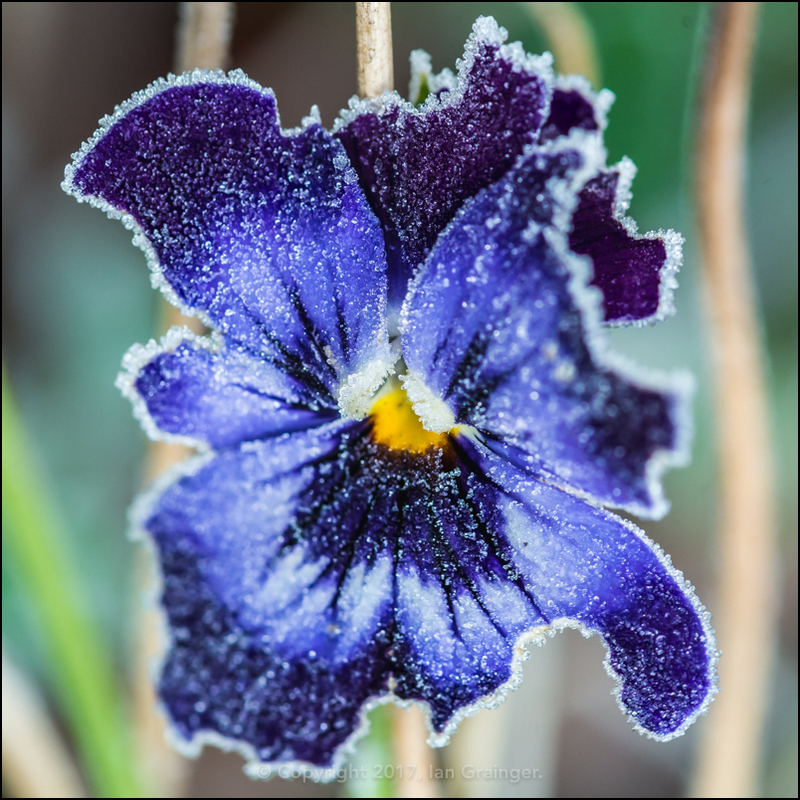 The ice crystals were also giving a wow factor to this pretty little Pansy (Viola tricolor) bloom. 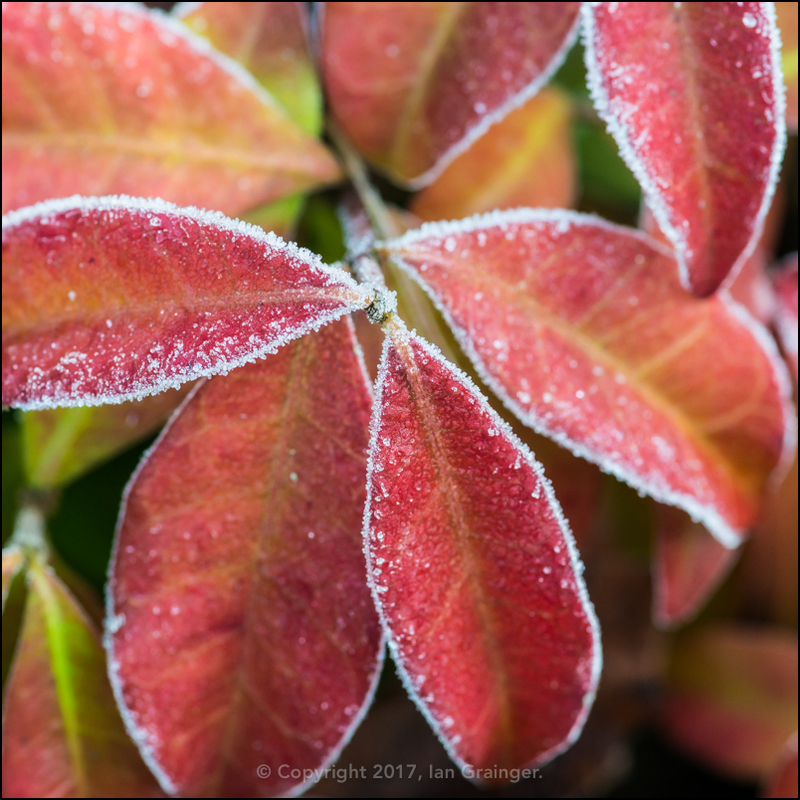 One of my favourite coloured leaves in the garden at the moment are from this Honeysuckle 'Serotina' (Lonicera periclymenum serotina) bush, and they look even better outlined in frost. 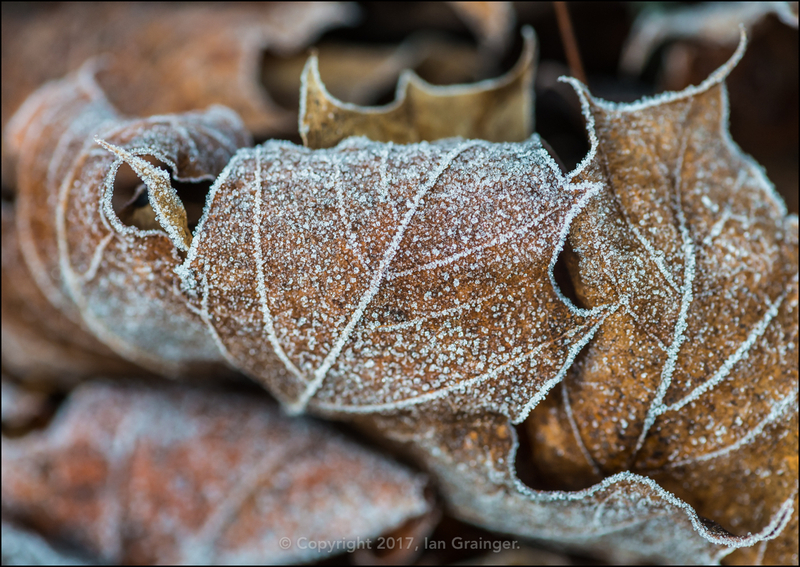 However, my favourite frosty leaf shot this week has to be this one, of some plain old Sycamore tree leaves. 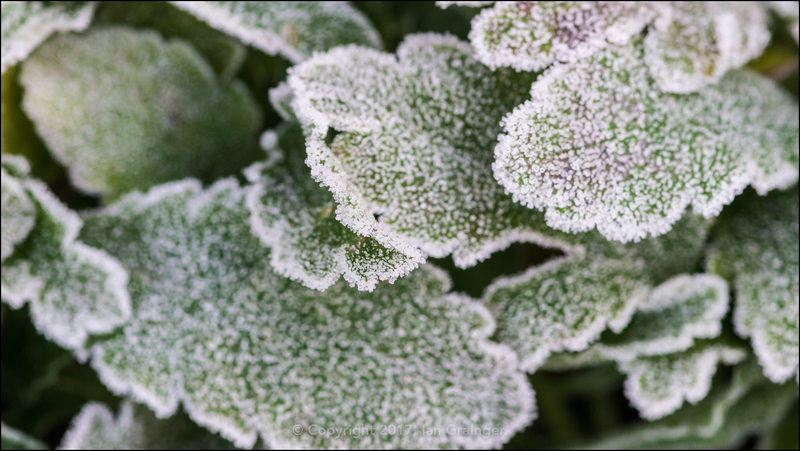 Finally, from frosty to tropical!! 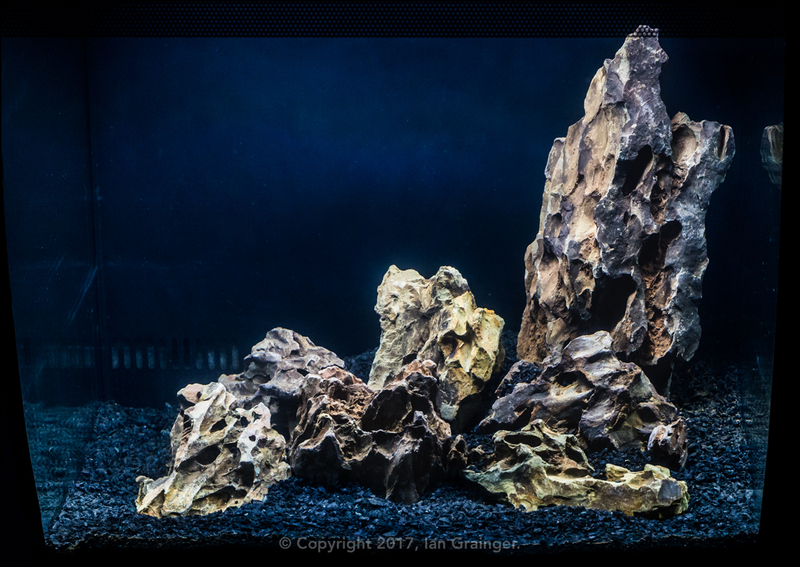 This week I thought I'd share an image of a new aquarium project I'm currently working on. This is a Fluval Flex 57 aquarium that holds 57 litres (approximately 15 US Gallons) of water. It's almost a cube shape, but, unusually, has a vertically bowed front glass. At the moment I'm living with the Dragon Stone hardscape, to see how much I like it, but will eventually be planting with live plants (as opposed to artificial ones), and stocking with a combination of Nano fish and Shrimp.